The best part about sports cars are they have more vroom. Your regular car? Not nearly as much vroom as a sports car. That’s why you want a sports car but you won’t be able to afford one until you’re older and by then people will just say you’re having a midlife crisis. You’ll still buy it though because you’ve been taught to want more vroom and can mentally justify it as deserved. 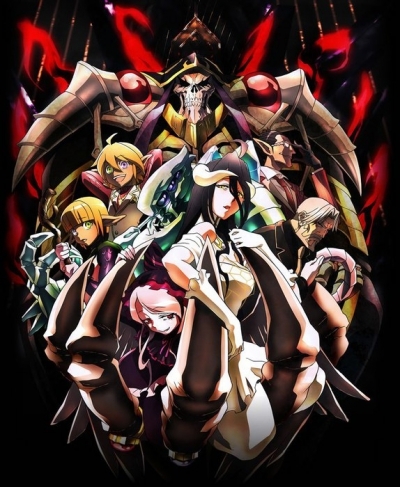 Tim reviews Overlord, an adaptation of a series of light novels, something that is infamous for always being good when translated into a manga. It’s about a character who plays a skull mage in an MMO and, get this, he ends up in the game for real. This happens because he’s logged in and hanging out until the servers are due to be shut down. It’s ends with a Crackers for not playing too deep into “the game is real” premise of mangas. Weltall revisits Darwin’s Game because he had so much fun last time. The NeoCatholics believe they’ve found the murder who’s been killing their bishops. In a twist, it’s only someone who’s been taking out their cardinals and no one cares about them. Or it builds excellently upon the premise of the last by introducing new characters with oddball powers and a group of people who refuse to participate in the murders.